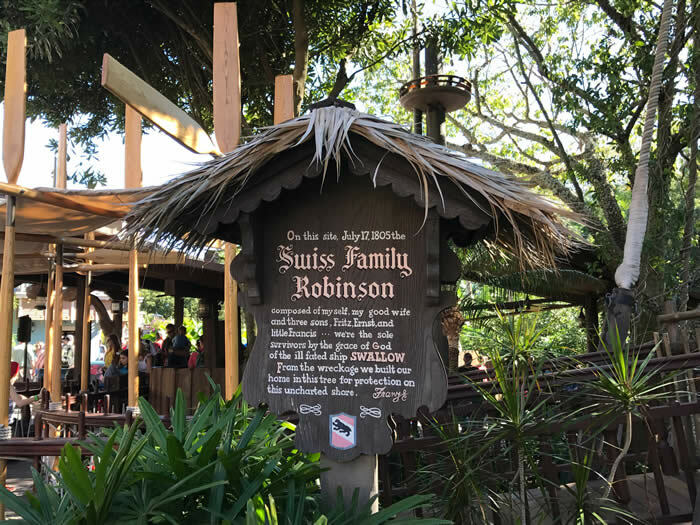 The Swiss Family Treehouse is based on the 1960 live action Disney feature film "Swiss Family Robinson." The first thing you think when you visit this "attraction" is "why?" 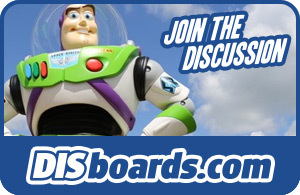 Next you wonder why they also built it at Disneyland Paris and Tokyo. At least its predecessor at Disneyland Anaheim was converted to a Tarzan theme. No such luck in Florida. Make no mistake, this is a treehouse and it doesn't come with an elevator. That means navigating the 116 steps. While it does have some devotees, the Swiss Family Treehouse is one of those attractions that you're most likely to try once and never bother with again. Handicapped Accessibility: This one of the few attractions that is totally inaccessible for people who are not ambulatory. Fun facts: The tree is known as Disneyodendron eximus, which means "out of the ordinary Disney tree." It's manmade with concrete roots. The 1,400 limbs are constructed of steel coated in cement. The 300,000 plastic leaves were attached by hand. The tree is 90 feet high and 60 feet wide.